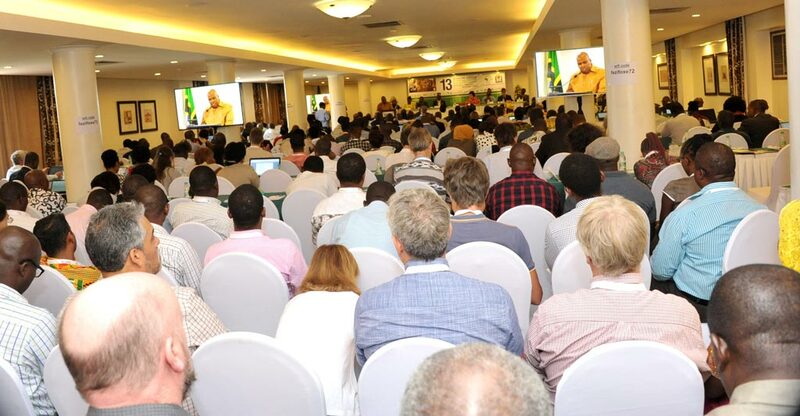 The 13th International Symposium of the International Society for Root and Tuber Crops – Africa Branch (ISTRC-AB) that recently took place in Dar es Salaam, Tanzania, 6–10 March, was a resounding success, according to many participants. The meeting was officially opened by Dr Hussein Mansoor, Director of Research and Development, in the Ministry of Agriculture, Livestock and Fisheries (MALF) who represented the Minister, Hon. 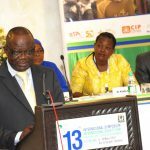 Dr Charles John Tizeba (MP), the Minister for Agriculture, Livestock and Fisheries. Director Hussein Mansoor officially opening the symposium. 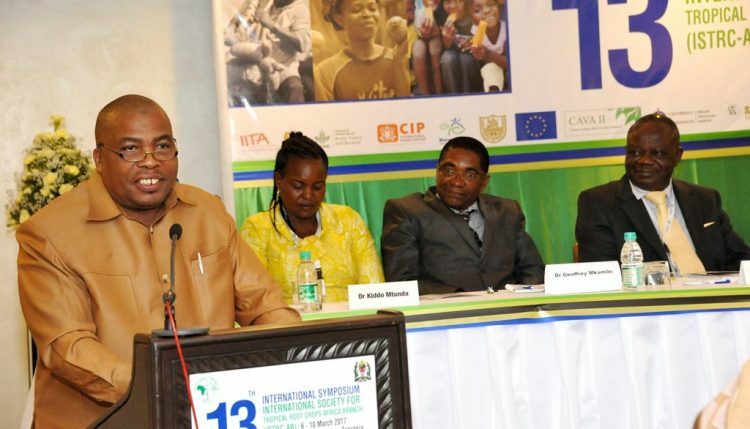 Mansoor stated that the meeting was very relevant not only for Tanzania but for the whole of Africa where root crops were very important for food, feed, and as sources of industrial raw material after processing. He noted that as with many crops, the yield of root crops was extremely low and he therefore hoped the event would provide practical hands-on solutions to help address farmers’ constraints in the production of root crops. Other speakers at the event included Dr Victor Manyong, IITA Director for Eastern Africa; Prof Lateef Sanni and Prof Keith Tomlin, the presidents of ISTRC-AB and ISTRC, respectively; Dr Geoffrey Mkamilo, Head of the Roots Program in Tanzania, and Dr Kiddo Mtunda, the chair of the local organizing committee. Mrs Rukia Liumba, a farmer and small-scale cassava processor shared her experiences on how production and processing of the crop had improved her life. “Root and tuber crops are very important for ensuring food security in the continent. However, the need to address postharvest losses and markets cannot be overemphasized. 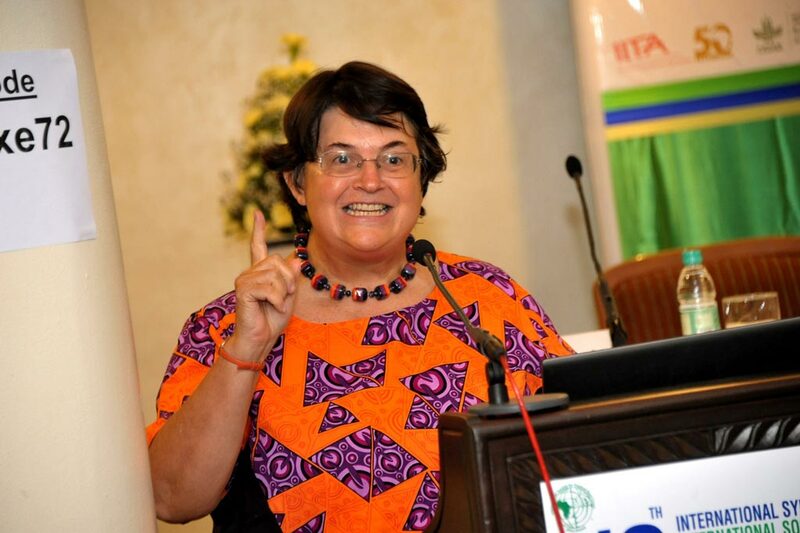 If not well addressed, then all the work done to increase production through development and adoption of improved varieties, and good agronomic practices will not realize the anticipated benefits,” said IITA’s Manyong. The keynote address was delivered by Dr Jan Low from the International Potato Center (CIP) and one of the 2016 World Food Prize laureates. 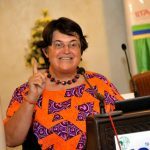 She talked about the challenges and lessons learned in efforts to promote vitamin A-enriched, orange-fleshed sweet potato (OSFP) to address hidden hunger in sub-Saharan Africa. Low noted that healthy diets were very essential for the healthy population required for growing economies. 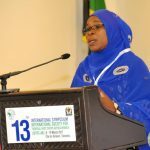 She pointed out that diversified use of root crops was important to grow future markets and it was thus necessary for breeders to develop varieties to meet different needs and uses. 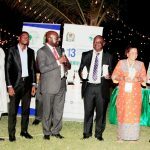 The event concluded with a gala dinner where the society honored various researchers for their outstanding contribution to the development of roots crops in Africa (see story on page). Prof Keith Tomlins, Director of Natural Research Institute (NRI) and ISTRC President, said the event had been delightful and thanked the local ISTRC-AB organizing committee and Executive Committee for organizing such a successful one. 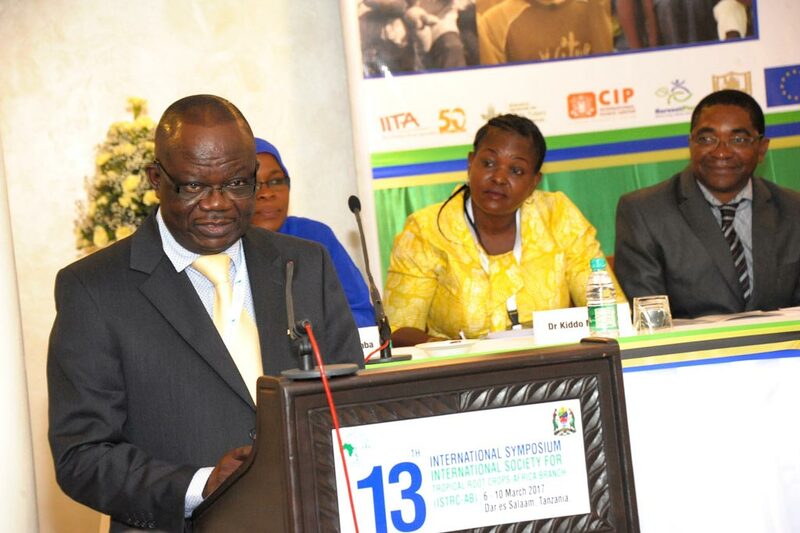 Victor Manyong, IITA Director for Eastern Africa. Rukia Liumba, a farmer and small-scale cassava processor speaking at opening plenary. Jan Low. from CIP , giving keynote address. Sweet potato and their products on display at the CIP exhibition. booth. Full house: symposium participants listening to guest of honor speak. 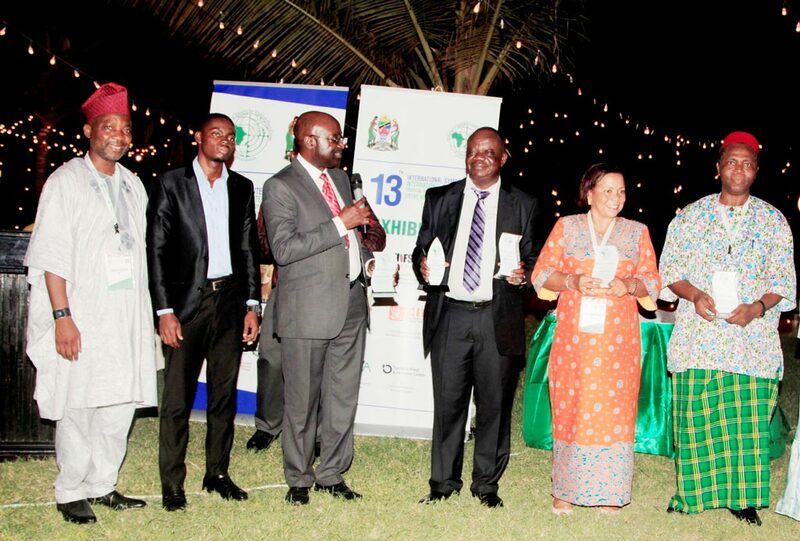 Some of the awardees and their plaques. 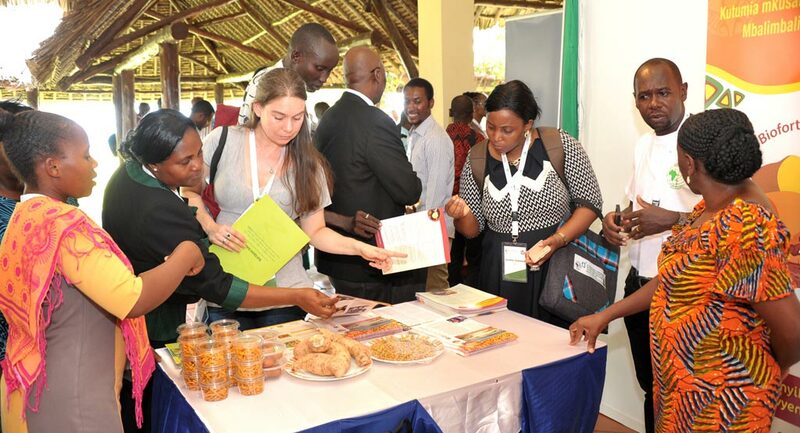 Throughout the four days, participants presented their research and activities on various aspects of root crops in Africa such as on agronomy, integrated pest management (IPM), postharvest, socioeconomics, seed systems, and breeding. These were made during plenary and break-away sessions and were followed by in-depth discussions. There was also a poster session and an exhibition where organizations and projects displayed their activities and products. In addition, delegates took a break from the Powerpoint presentations and went around to see a little of the country. Three tours were organized for the researchers to see ongoing activities on root crops. The tour themes were: (1) Breeding for Cassava Brown Streak Disease (CBSD) and pre-basic seed production for sweet potato and cassava at Chambezi field trials; (2) Touring research infrastructure at IITA, Mikocheni Agriculture Research Institute (MARI), and a private biotechnology laboratory, KILMORGANO; and (3) Cassava processing and utilization in Mkuranga. 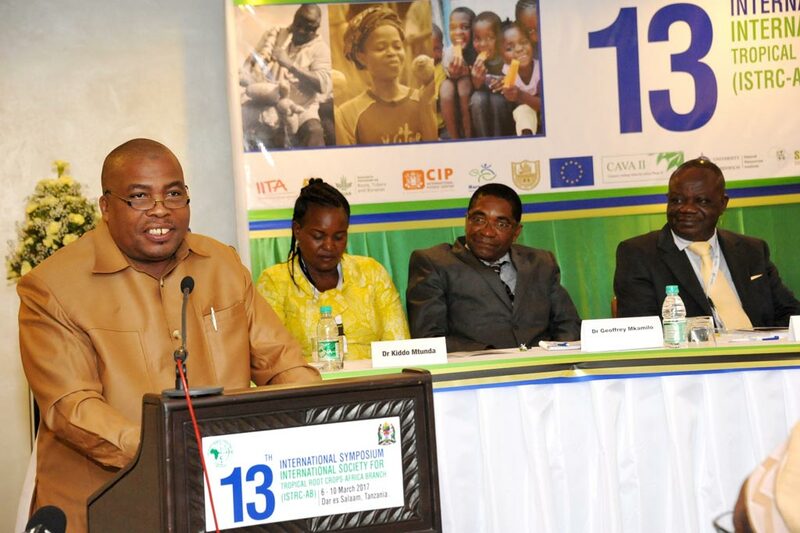 The organization of the meeting was led by Tanzania’s Ministry of Agriculture, Livestock and Fisheries. 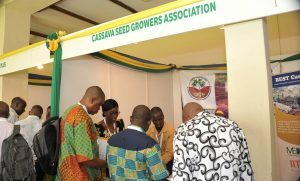 Other partners included IITA, CIP, the Commission for Science and Technology (COSTECH), and the Cassava Adding Value for Africa (CAVA) project that is led by the Tanzania Food and Nutrition Centre (TFNC). 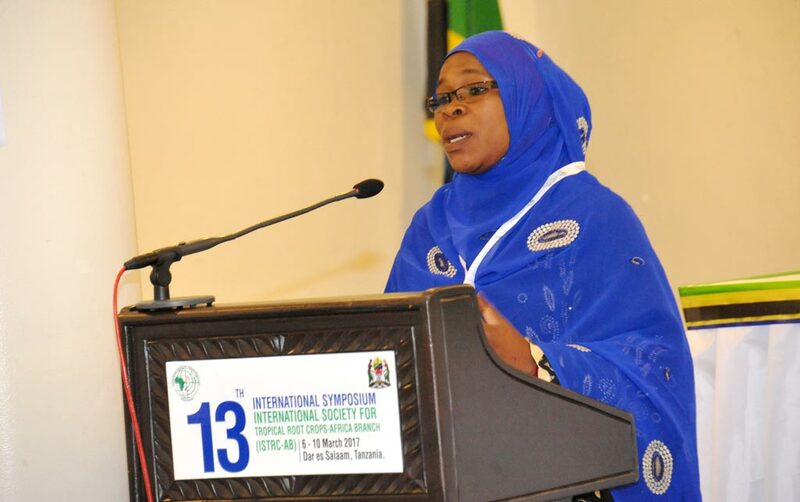 Tanzania had been selected as the venue of its 13th Symposium at ISTRC-AB’s last meeting in Ghana in October 2013. 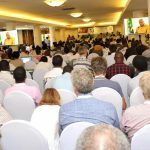 The 14th ISTRC-AB will take place in Zambia in 2020. Participants at the booth of the cassava seed growers association.